You've probably heard of the term Infrastructure as Code. But what does it mean and how do I leverage this concept with Azure? In summary, Infrastructure as Code is a set of techniques and practices which help IT Pros remove the burden associated with the day to day build and management of modular infrastructure. It allows IT Pros to build and maintain their modern server environment in a way that is similar to how software developers build and maintain application code. By defining a set of policies which contains your "code", you can provision infrastructure so it resembles your desired state. You can test on one system then deploy to many. You don't have to worry about manually installing and configuring individual components or consistency across the fleet. You can push these policies out to thousands of servers and have the peace of mind that servers which fall outside the desired configuration state will automatically be remediated. A great tool to deliver infrastructure as code is Chef which has the ability to manage Azure VMs right out of the box! Chef is also cross platform and can manage Windows, Linux, Mac OS and more. 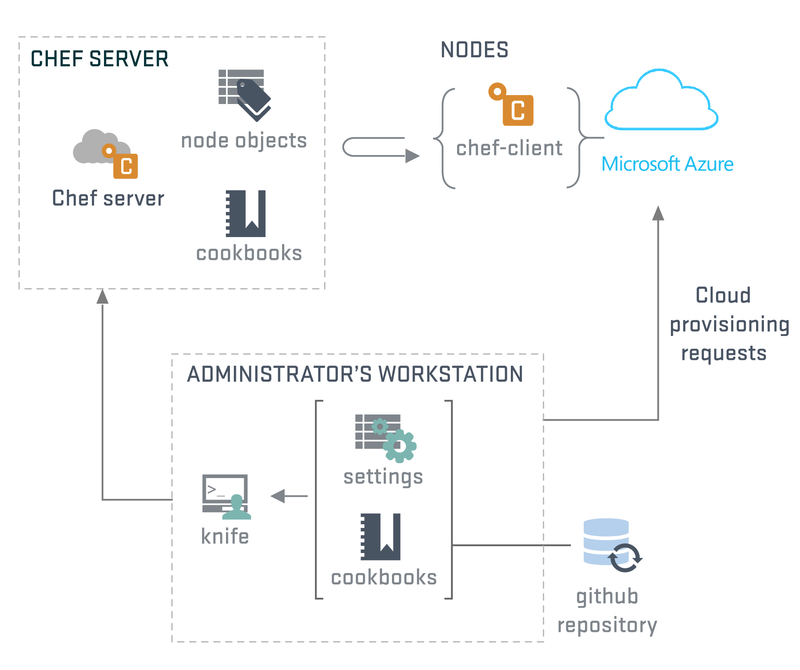 For full details on how to leverage Chef and Azure as part of your automation framework, head over to my article here.